BaByliss is a very popular brand and is the favourite choice for professionals. They’ve been in business for over 5 decades manufacturing hair styling products which speaks for itself, it’s a leading brand for electrical styling products for both men and women. All the products designed by BaByliss have been successful in providing salon type finish at home! They make use of innovative and modern technology to manufacture products that are unmatched in terms of reliability, durability and performance.. and the BaByliss for Men 7895U I-Stubble Plus is no different. 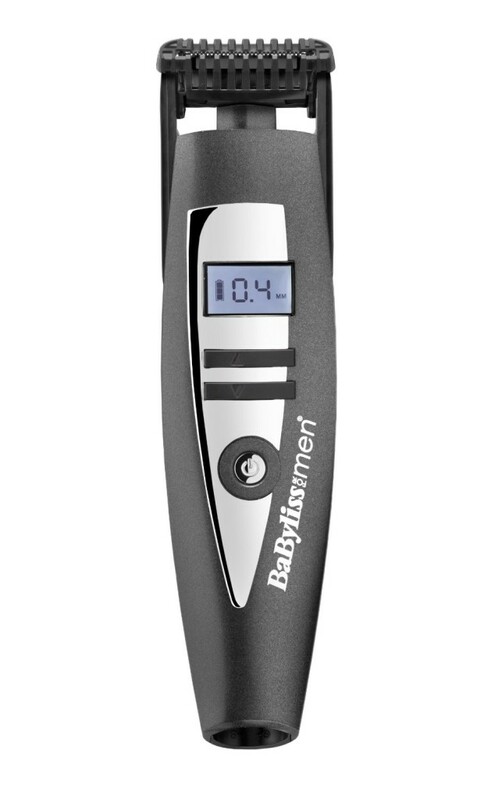 The BaByliss for Men 7895U I-Stubble Plus has been labelled as U.K’s best stubble trimmer. This trimmer is designed to make your everyday manscaping less tedious. With this trimmer you end up looking your hottest self in very less time. Developed with advanced technology and tailored with amazing features this trimmer is a must-have for every man. The i-stubble’s motorised length control allows you to adjust the comb guide which lets you maintain a stubble length as short as 0.4mm. The iStubble comes with a floating contouring head. The purpose? It lets you trim through even the most sensitive curves of the face effortlessly. An accurate trimming and finesse is guaranteed. When the trimmer is able to adjust to the curvatures of your face it deepens the contact between face and the iStubble. This ensures an even and consistent trimming experience. The iStubble gives the option to adjust itself to 15 different lengths. So you can style different looks with ease. You can choose any stubble length. If you want a long stubble you can have it or maybe if you want to make it short for a night party, it is a piece of cake. You can pick any stubble length between 0.4mm to 5mm because of the motorised length control option. You can trim with precision and accuracy in less amount of time. You can pick a length and then lock into each one with a easy turn of the zoom wheel for exact precision and use. The length adjustments depend on what range your required length falls in. For example, if you’re looking for a stubble length anywhere between 0.4mm and 1mm, then you can go up or down in 0.2mm steps. From 1mm to 5mm, you can make 0.5mm additions. Yes an LED screen! This makes sure that you don’t end up with no charge half way through the trimming process. The LED screen projects the amount of battery charge and it also has memory to store your last chosen length. This will help you to adorn consistent stubble. For a closer and shorter trim all you need to do is flip over the comb guide. This is a very good feature for shaping and edging the hairline in which ever style you like. The i-Stubble id designed with electro-chemically sharpened blades. The catch? This feature offers precision and sharpness in every cut. With this advanced technology, you can trim and shape your stubble in every style easily with high precision. The iStubble endorses and delivers convenience while trimming. It lets you operate it from a wall socket or you can also charge the battery. The battery life is 60 minutes. So even in case the battery gets drained out you can continue with the trimming using the cord. Like most of the BaByliss products the BaByliss 7895U I-Stubble Plus does not require any re-oiling. You will enjoy owning this bread trimmer due to its low maintenance. And cleaning too is totally effortless. All you need to do is rinse them under running water and pat them dry. So also don’t have to worry about ruining its parts while cleaning with water because this trimmer is 100% waterproof. For this reason you don’t have to use any brush for cleaning off the hair bits. Small and light. Very convenient while travelling. On Amazon, buyers have so far provided the BaByliss for Men 7895U I-Stubble Plus trimmer a 4 star rating out of 5. This is a remarkable rating since that there has been over 100 reviews for the iStubble trimmer at the time of writing this review. If you are looking for a trimmer that can help you maintain a beard length between 0.4mm to 5mm then the BaByliss 7895U iStubble is your best bet. From a clean shaven style to a very short look or even a full beard, you can have any of it conveniently at an affordable price. As mentioned above all the features are outstanding. And no other trimmer can match up to the features and options provided by the iStubble. You can expect a hassle-free trimming experience with the iStubble. 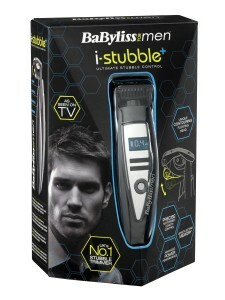 The BaByliss iStubble comes with a 1 year warranty which is a stunning offer for buyers from any European Union Country.